Social media has changed the way that people stay connected, but it has also transformed the way that businesses interact with their partners, bringing the two closer together than ever before. Top firms now use social media to reach their partners, resulting in unique brand interactions that put even more recognizable and personable faces to businesses of all shapes and sizes. We are a proud provider of marketing services that help put businesses in clear view of their partners, creating more robust and rounded brand identities for some truly awesome companies. We are pleased to share that in our efforts to improve the online presence of our partners, we have been recognized as a global leader among social media agencies. This accolade comes to us courtesy of Clutch, a ratings and reviews platform for B2B service providers that uses in-depth research to identify top service providers in dozens of industries. We were included in detailed research on more than 10,000 of the top social media marketers in the world, and we were thrilled to discover that we had been ranked among the top 15. Client feedback is our most important metric for success, and reviews like these help us know that we are hitting our mark. We cannot wait to continue using this source to improve our services, and we are looking forward to seeing what else our partners will share with us. 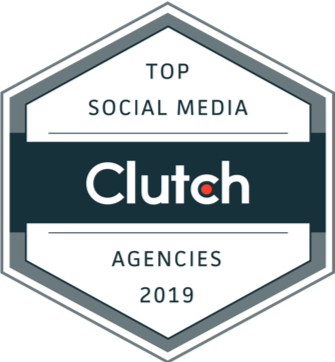 We are also featured on Clutch’s sister-site, The Manifest, as one of the leading social media marketing companies in the world. The Manifest is a resource for firms of all shapes and sizes, offering industry insights and how-to guides to address an array of challenges. Our inclusion was a result of our hard work, coupled with our smaller size and the affordability of our services, designating us as a reliable and reasonably priced marketing partner. We have also joined other top marketing agencies and digital firms in creating a profile on Visual Objects, a portfolio sharing platform for B2B service providers. Our participation allows us to be included in the comparative shopping efforts of prospective partnerships, stacking vendors against each other to find the best possible fit, and we hope it will convince more businesses to invest in their social media presence. Our specialty is connecting businesses with their partners, but we want to take a moment to acknowledge the relationships we have formed with our own. Thank you to everyone who has supported us and helped us reach this point, we are proud of everything we have achieved, and grateful for the opportunities we have been given. Our status as a top firm will only make us work harder, to go above and beyond to deliver nothing but the best for our partners.